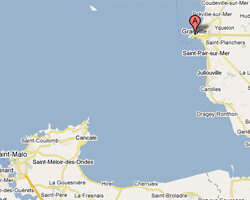 Built on a peninsula, Granville is a town overlooking the bay of Mont St Michel from the top of its walled town. It is the birthplace of Christian Dior whose family home can be visited. Granville is also a nice seaside resort with a marina. At the seaside you can find pleasant sandy beaches. The beautiful Chausey islands are part of municipal patrimony. 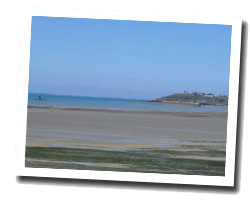 In Granville enjoy a seaview holiday rental. 2 rooms apartment 55m2 facing the port. 200m from the beach. Beautiful view of port and high town. beach cabin from june to september. 2 rooms apartment 47m2. Close to the beach. House 4 roomss 47m2 overlooking the sea. terrace 60m2. 3 rooms Apartment on the 1st floor. Distance to the sea: 20 m. distance from town centre: 100 m. Nice view of the sea and the port. 3 rooms Apartment 100 m2. Distance to the sea: 100 m. distance from town centre: 500 m. Nice view of the sea and the port.